Attention to gender relations is increasingly being seen as urgent. As the aspirations of each gender increasingly overlap, there is a need for change in attitudes and power relationships. the negative impact of “masculine and hyper-masculine behaviours”, attitudes and values which result in gender-based discrimination. the sports media message of the real man being strong, tough, aggressive and above all a winner. the lack of role models particularly for women and the lack of exposure of the models when we have them. a lack of awareness of or commitment to strategies that contribute to continued participation, for example continuing to see the drop-out as gender-based rather than residing in the ways in which physical activities are constructed and presented. where gender cooperation for success would be an essential factor. But even with these ideological and structural positive steps we still have the possibilities of gender bias. In the 2015 IKF World Championships top 30 scorers 27 are male 3 are female because it includes penalty shots mostly taken by males. Need to focus on dynamic goals. Note: In that competition 47% of Australia’s dynamic goals were scored by female players. 1994 Korfball Australia receives Prime Ministerial Women and Sport Award “in recognition of your encouragement and support for women and girls in sport”. Women’s Groups feared encouraging mixed sport would mean men would continue to dominate so our female successes in mixed setting not considered in their media. we might expect that energy and resources by women’s groups might want to focus on gaining a higher profile by being involved in traditional men’s sports like Aussie Rule, cricket and soccer. Some teachers may take the approach in teaching to consider a single gender’s perspective and attitudes as easier than trying to accommodate both. 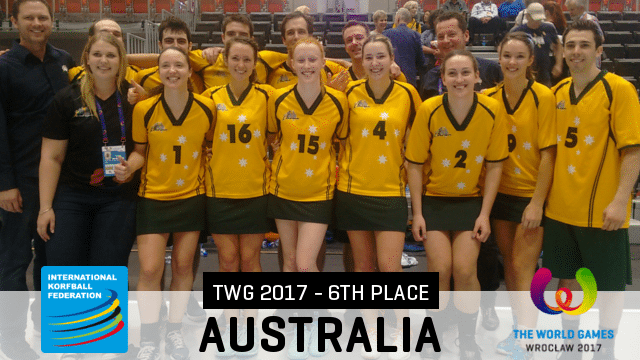 Respondents were also given the opportunity to respond on any other aspects of gender relationships in korfball. As you can see, in Australia we are correcting the difference in ratio to have a more equal distribution in future. Some reasons for this are outlined below. In the Dominican Republic korfball gets resources support from the Department of Gender Affairs and Financial Inclusion where korfball is seen as a means of improving gender relations while improving the status of women (T.Cohn-Loi, 2016). locally, e.g. in schools there is a need to question the gender value of sports and the way mixed sport and PE is taught. It is often difficult introducing korfball, especially to teenagers brought up in single gender sports; to get them to think and act differently from their traditional gender stereotype ways. This approach is designed for use prior to taking up korfball or in the early stages. The challenge is questions you might ask students. The responses and considerations should come from the students with a guide included in the table. A belief we can achieve gender equality in outcomes. Korfball provides a platform for rapid socialisation into cross-gender understanding, shared accomplishments, mutual respect and valuing the other gender. Any mixed education activity should provide the same platform. Australian Curriculum, Assessment and Reporting Authority (ACARA). (2014). The Shape of the Australian Curriculum, Health and Physical Education. Crum, B. (2012). The IKF Guide to Korfball Coaching. Zeist: IKF, The Netherlands. Global Survey Summary. (2016) on Survey Monkey compiled by Kirkby R. and _ published on the Korfball Australia website https://korfball.org.au. Retrieved June 10, 2016 and from IKF website http://ikf.org on the same date. Gubby, L. (2016). Embodied practices in korfball. In I. Welland (ed.) Research Embodied Sport: Exploring movement cultures (pp. 86-101). Abingdon: Routledge. Kirkby, O. (1986). The Relationship Between Procedural and Distributive Justice in Children’s Decision Making, Unpublished thesis. B. A. Hons. Flinders University, Adelaide, South Australia, Australia. Somerfield, K. & White, A. (1989). Korfball: A Model of Egalitarianism? Sociology of Sport Journal, 1989, 6, 144-151.